This website, accessible in www.cogwebhealth.com is registered to NEUROINOVA, LDA, based in Avenida Sacadura Cabral, 1694, 4410-463 Arcozelo, Vila Nova de Gaia, Portugal, with tax identification number 509678092 and phone contact + 351 911 194 909, hereinafter referred to as NEUROINOVA, and is operated by this enterprise. It provides information and gives both individuals and companies access to specialized services. Anyone using the website is subject to and fully accepts the following terms and conditions. All contents, texts, images and sounds, as well as the logos, names, brands and distinctive features of the website are protected under intellectual property law and/or other features which are the exclusive property of NEUROINOVA, Lda, or are also licensed. The use or reproduction of the contents of the website, in any form or medium, are prohibited without prior written consent from NEUROINOVA. The information available on the website was meticulously produced and/or selected by NEUROINOVA, taking into consideration the nature of the information and the target audience. However, NEUROINOVA does not guarantee the total absence of errors - human or others - such as inaccuracies, omissions, changes, interruptions, loss of data, delays or other faults. The user accepts that they should not base or take decisions or carry out activities based on any of the information available on the website without prior critical verification or analysis. Furthermore, despite the technical and safety measures implemented, Neuroinova does not guarantee that all the files are free of corruption, viruses, worms or trojan horses, which may contain features which have the ability to contaminate or destroy. This website may have hyperlinks to other websites on the Internet. However, Neuroinova does not have any control or takes responsibility for the information available on those websites. NEUROINOVA, Lda. is responsible for data processing. Due to the nature and the objectives of the service provided, users must provide information which may be perceived as being of a personal nature (clinical and personal information as well as contact details). The data collected are the exclusive property of Neuroinova and are for use in the COGWEB. To protect the confidentiality of the users personal details and reduce the possibility of loss, destruction or alteration of information or any other illicit use, Neuroinova implements specific organizational technical and security measures and strategies. However, despite all of these security measures, the user is aware of the fact that their data may be accessed and transferred on the Internet, and Neuroinova cannot guarantee total confidentiality. The user also understands that there is a slight risk that their data may be viewed and used by non-authorized persons. The user is also aware of the fact that their data may be lost due to storage, server or computer problems, disruptions in Internet connections or other telecommunications service providers, and Neuroinova cannot be held responsible for any loss of information. It is guaranteed, in terms of the law, the right to access and rectification of personal data. The user has access to the personal information through his Account and may at any time consult, update or rectify it. The user can ask to for more information by using the email info@cogweb.pt. The data is accessible to the professional responsible for cognitive training and can, with the consent of the user, be communicated to other professionals or family members who accompany the user. Data processing depends on the authorization of the user, through consent. The user has the right to withdraw his consent at any time without compromise the lawfulness of the treatment made on the basis of the prior consent. Since cognitive training through COGWEB® can be stopped and restarted whenever the user and/or professional intends, there is no time limit for data retention. NEUROINOVA takes no responsibility for incorrect use of the services, nor for damages or losses caused by such misuse. It also will not be liable for any damages or losses suffered by the User or third parties due to use of the Internet or fortuitous events or force majeure. The User agrees that NEUROINOVA may suspend access to the services offered on the website for various reasons, including lack of payment, violation of intellectual property rights, breach of confidentiality, breach of these terms and conditions of access and use, decision of any administrative or judicial authority under the law, and NEUROINOVA takes no responsability for the loss of access to the services available on the website. 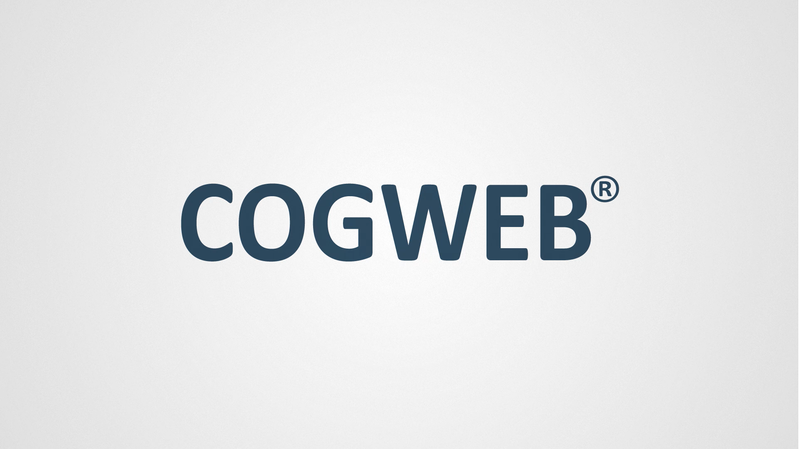 COGWEB® was developed to perform cognitive training activities over the internet. You can use it in a clinical setting (hospital, rehabilitation center or other institution) or at your home. Patients with cognitive impairment (memory, attention, reasoning, etc.) can access COGWEB® from anywhere, but the use is always mediated by a professional who defines the tasks and supervises the performance. Please contact us through the COGWEB support line (+351 911 194 909) or by e-mail (info@cogweb.pt) so we can find the most appropriate way to help you. If you are an health professional and have interest in being our partner, contact us through the email address advisor@cogweb.pt. COGWEB® is a tool that allows the implementation of personalized programs of cognitive training, providing professionals and patients a vast set of computer exercises focused in different cognitive domains (e.g. attention, memory, language, calculation and executive functioning). Currently it consists of over 100 exercises that automatically evolve by levels, becoming harder or easier according to the patient's performance. Being based on an online platform, both professional and patient can access the program from any place with an internet connection. The specialized professional builds sessions of cognitive training, which the patient performs at home or in the institution, according to defined guidelines. What are the advantages of using COGWEB®? 6. Enables practitioners and institutions with methods to improve the access of patients with cognitive deficits to specialized interventions. Cognitive training plans personalized and guided by professionals. Suitable for different ages and multiple pathologies. Cognitive training materials in paper and pencil format, with different levels of difficulty. Allows utilization individually or in group and adapts to different contexts, such as health institutions, nursing homes, home.